Former U.S. President George H.W. Bush speaks at the World Leadership Summit in Abu Dhabi, United Arab Emirates. Former U.S. President George H.W. Bush, who presided over the end of the Cold War and routed Saddam Hussein’s Iraqi army but lost a chance for a second term after breaking a no-new-taxes pledge, died on Friday at the age of 94. His second son, Jeb, launched his own campaign for the presidency in 2015 before dropping out in February 2016. Bush’s father, Prescott Bush, had been a senator from Connecticut. Ronald Reagan, the former actor and California governor, vanquished him in the Republican primaries but chose Bush as his running mate, hoping Bush’s reputation as a moderate would balance his own hard, conservative image. The high points of Bush’s presidency included the end of the Cold War, a decisive victory over Saddam’s Iraqi army in 1991, along with the soaring popularity it won him at home, and progress on Middle East peace. But Bush’s foreign affairs victories were overshadowed by a stagnant economy at home. He broke his “read my lips” pledge not to raise taxes and lost his 1992 re-election bid to Clinton. 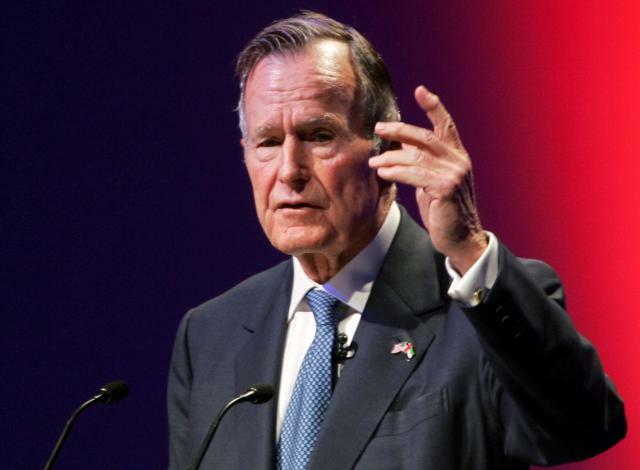 Bush did not endorse fellow Republican Trump, the eventual winner of the 2016 presidential election, who attacked both Jeb and George W. Bush during his campaign. He did not publicly say whom he voted for in the election, but a source told CNN he went for Trump’s Democratic opponent, Hillary Clinton.